AMAZING VALUE, IMMACULATE CAR, 3 MONTHS WARRANTY!! 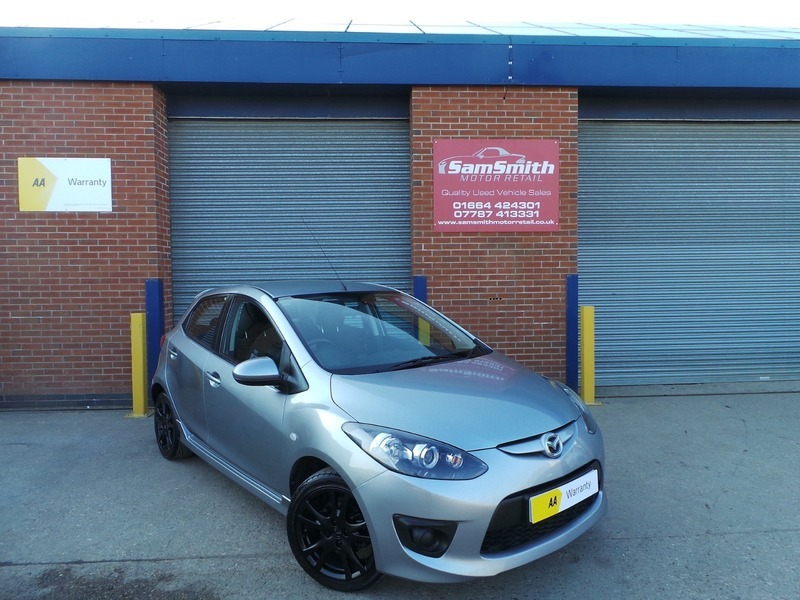 We are proud to offer for sale this stunning Mazda 2. Lovely condition throughout this car really is a credit to its last lady owner who owned the car since 2013. The car has recently been serviced and had 4 new Toyo tyres fitted. This car will be supplied with 12 months MOT for the new owner. All of our cars go through a very thorough workshop inspection, get freshly serviced if needed and come with a 3 month fully comprehensive (parts and labour) warranty and AA cover. Every car we sell is HPI clear with certificates to prove. LOW RATE FINANCE DEALS AVAILABLE. Open 5 days a week and weekends by appointment. Please call for availability & viewings.